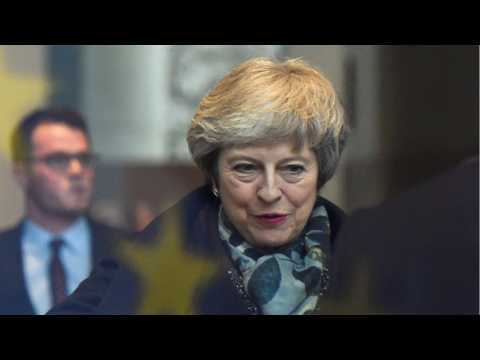 Prime Minister Theresa May rushed to Strasbourg on Monday to seek concessions from the European Union in a last-ditch attempt to avoid another humiliating defeat in parliament of her deal to exit the bloc. Just 18 days before the United Kingdom is due to leave the EU, there is still no ratified divorce deal and talks with the bloc stalled over the weekend as May felt she was unable to break the political deadlock in London. In a day of frenetic diplomacy ahead of a Tuesday parliamentary vote on her deal, May spoke to European Commission President Jean-Claude Juncker in an effort to find a way through the Brexit maze. May, who rejected a Brexit compromise hashed out in Brussels on Saturday, left for Strasbourg on Monday. “Please don’t assume this points to a deal,” a British official said. “It means there is basis for a further face to face discussion as part of the talks.” May’s spokesman said a “meaningful” parliamentary vote on her deal would go ahead, even though talks with the EU are deadlocked, and the motion to be voted on would be published later on Monday. 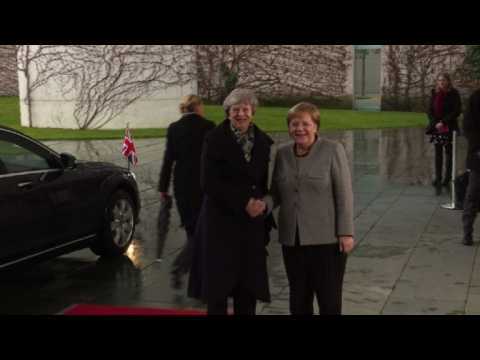 European officials expressed frustration with May’s attempts to secure concessions with so little time left before Britain is due to leave on March 29. The British parliament voted to reject May’s deal in January by 230 votes, the biggest margin of defeat in modern British history. She has promised a new vote on Tuesday, hoping to deliver last-minute changes that would win over MPs. If she loses that vote, she has promised to allow lawmakers further votes on whether to leave with no deal at all, or whether to ask for a delay in the deadline. EU ambassadors were told by the bloc’s Brexit negotiators that a possible compromise was on the table but May was unable to convince her ministers so she turned it down. Sterling see-sawed on Brexit news, falling in early trade on speculation that May could cancel the vote in parliament, but later surged on news that May would travel to Strasbourg and could have a deal. It was trading at $1.3140 at 1500 GMT. The United Kingdom’s tortuous crisis over EU membership is approaching its finale with an extraordinary array of outcomes still possible, including a delay, a last-minute deal, a no-deal Brexit, a snap election or even another referendum. The country voted to leave the EU in a 2016 plebiscite. The ultimate outcome remains unclear, though Brexit will define the United Kingdom’s prosperity for generations to come. Prime Minister Theresa May said she was just at the start of discussions with European leaders as she seeks reassurances that the Northern Irish backstop is only temporary, in a bid to persuade lawmakers to back her Brexit deal. Asked about a possible date for a rescheduled parliamentary vote, she told broadcasters: “We’re just at the start of the negotiations and the start of the discussions.” May twice declined to respond directly to questions over whether enough of her own Conservative lawmakers had submitted letters to trigger a no-confidence vote in her leadership. May Heads On A Frantic European Tour To Save Her Brexit Deal. Theresa has begun a frantic diplomatic dash around Europe to try and secure support for tweaking her Brexit deal. The prime minister cancelled today's vote on the Brexit deal amid fears she would be handed a crushing defeat, with many Tory MPs firmly opposed to the Northern Irish backstop measure. She is already running into fierce opposition, which appears very unlikely to offer any significant new concessions.